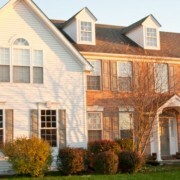 If you have not paid on your house and are in foreclosure, there may be hope. The banks generally don’t want your home; they want your money. The problem is that they are not sure that you are going to pay. You might want to pay but circumstances are beyond your ability to pay. There are a few options, first of which is HAMP or the Modification Program. These programs seem to be designed to help consumers if the consumers can make it through all of the delays, the claims of missing paperwork, claims of out-of-date paperwork and claims that you have to re-file because some arbitrary deadline was passed. It is an unpleasant process but nearly all of my clients who were in foreclosure since these programs began were able to keep their homes for the time-being. 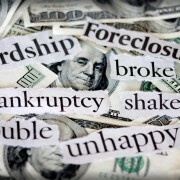 While there are claims that the mortgage companies cannot foreclose because some papers got lost or a “robo-signer” signed their affidavit, most of these defenses are merely stalling tactics which the creditor generally fixes with enough time. The idea is to stall long enough until you are able to make a settlement with the creditor to keep the house. Help I can’t pay my medical bills and now I’m being sued. There are some defenses to these lawsuits as well, though not as many as in the other matters. The most important one that I have found is for the providers to justify the amount of the bill and for the amount not to be completely outrageous. 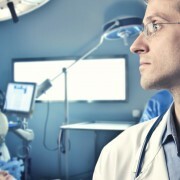 For example, there are situations where you are being charged for the surgical gown, even though it can be re-used. Perhaps, you are being charge $5 for an aspirin whereas the insured folks only pay $.05. If nothing else, sometimes medical providers would prefer just to let a debt go rather than go to Court to explain why the $5,000 procedure only costs $300 to Medicare patients or $350 to insureds or why you got charged extra for the ICU room when you were already being charged for the ICU in the first place. Note, however, that some of the public hospitals now consider themselves parts of the state government. So, rather than deal with attorneys, some institutions merely send the bill into the Kentucky Department of Revenue, who then sends you a collection letter. If you do not respond appropriately, then the Department of Revenue treats it like a tax debt and garnishes your bank account, for example. You find out when your checks bounce or the bank calls you up. Is that legal for them to simply take your money without more notice? I don’t think so. The problem, however, is suing the Department of Revenue over $320 that should not have been garnished may cost more than you are entitled to receive. So, it is, unfortunately, a question of cost/benefit analysis. Given that the bills are usually owed, most potential clients just shake their heads and complain. Also, I don’t think one can collect attorney fees for suing them, so that would all fall on the client for their legal tactics. So, when you get one of those notices, do not ignore them. I have managed to help a few clients avoid those debts in those situations with some fancy footwork. As a side-note, under the Affordable Care Act (“Obamacare”), insurers have to justify why they will not pay for your bill. In the old days, what you could do about that was limited. Now, however, there is a set of actions you can do with the insurance company to see if you can get them to pay. Like many folks, perhaps you do not want to wait until you get sued and bankruptcy is not something you really want to avoid. 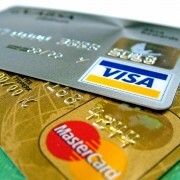 In these cases, it may be helpful to negotiate with the credit card companies. By setting up a convincing reason and showing some hardship, you may be able to get a discount off of what you owe. I have generally been pretty successful in negotiating a discount with the credit card company of anywhere from 40% – 90% discount. Of course, every client is different, every creditor is different, and every credit score is different. One thing is for certain, the credit card companies make it extremely unpleasant for you to negotiate. The wait times may be long, you may be disconnected right when you are close to a deal, you may be transferred to a half dozen people apologizing profusely that you received the wrong department, you may be requested to send a document in which is promptly lost, or the creditor can simply say that it changed its mind and is not offering anything much today. The idea is persistence and patience and a little legal know-how. Consider it mental elbow grease. Remember, however, that if you do get a discount, it will be reported on your credit report negatively. Also, the creditor may send a form to the IRS stating that you borrowed $10,000 and only paid $4000. The IRS may consider the $6000 difference as income and you could be taxed accordingly. So, it is very important that you talk to your accountant, CPA or tax preparer to make sure that you respond to the IRS accordingly. Do not ignore the IRS; they are not going anywhere. If you fail to raise a defense, then you may owe it anyway. So, even if the lawsuit had no business being filed and you figured that the case is so bogus that there is no way a Court will enter a judgment against you, you may lose the case if you don’t tell the Court in writing why you don’t owe it and if you don’t go to Court to tell the Judge why you don’t owe it. If you took out the debts and truly owe them, do not avoid paying them hoping that these various strategies and defenses work. The fact is that litigation is a very unpleasant experience (even for attorneys) and if you owe the debt and they are able to prove that you owe it, do not rely on the statements in this website to believe that you can avoid your bills. These are only strategies when all else has failed and you are now being sued. It may be that you are judgment-proof and that even if you lose, the creditor cannot get anything from you. So, for example, your SNAP (Food Stamp) or Social-Security cannot be garnished to pay these bills. If your bank account only has Social Security or similar government benefits in it, that cannot be seized (if it is seized, you have to appear before the Court and prove it; if you are able to prove it, the Court should release the garnishment, though your account was frozen in the mean-time). To take your stuff, it has to be worth above the “homestead” amount. If you earn only minimum wage, then the creditor may not be able to garnish your paycheck. Federally guaranteed student loans are different altogether. While there are some programs designed to minimize the amount that you have to pay monthly, the below guidelines do not necessarily apply to them. There are three basic aspects in these credit card defense cases, which can be used together or separately. This only applies to collection agencies – not to the original creditors. This is the law that protects you from being harassed by bill collectors. While what you and the collection agency consider as harassing probably differ, the law creates a series of red lines. Things like calling your work and saying “Hey, tell Deadbeat we are on the phone!” or calling you at 2:00 a.m. to demand payment or sending a letter to “Resident Deadbeat” written on the outside of the envelope or calling your neighbor “by accident” and asking them to call the collection agency may be a problem for the collection agency. If these things have happened and you can prove it, then they may owe you. Additionally, if they owe you, they may owe your attorney fees. So, they might just say “whatever” and agree to drop the lawsuit if you drop your claim. In every case I had, the amount that my client was sued for exceeded our damages (not counting attorney fees), so my client was more than happy to wave good-bye to the bill. Sometimes, creditors or collection agencies file lawsuits because they do not have all of the facts and the fact is that the lawsuit should not have been filed in the first place. Note that what is very clear is different than what is merely an affirmative defense. For example, if you received a discharge in bankruptcy on this debt and you were sued anyway, that could be a problem for the creditor. Or, if you paid this debt in a settlement before and the creditor wants the rest now, well, that could also a problem for the creditor. This is different than their missing their deadline to sue you because that oversight may not be obvious and you are required to raise it to the Court’s attention. A response carefully pointing out that the lawsuit should never have been filed such that it was bad faith to file may be enough for a creditor to rapidly retreat. If you forgot to add a bill to your bankruptcy, you may be able to re-open the closed bankruptcy and add it then. If that happens and the United States Bankruptcy Court allows for this, then your debt may be discharged in that closed bankruptcy and you are discharged. Collection agencies don’t have time to be super-specific on all of the lawsuits. After all, they are trying to collect tens of millions of dollars and are not going to spend a whole lot of time on every individual lawsuit. So, a lot of times, the lawsuit is from someone you never heard of and the lawsuit literally says that you are in default and owe money. Your first thought may be “Who is this?” The second thought may be that they don’t even have the decency to tell you why you owe it. Sometimes, the collection agency says,”Gee, I don’t know” and the case is dismissed. It’s not often, but it has happened to some of my clients. Sometimes when you ask for the calculations on how they got the final figure, the creditor cannot figure it out either and the case is dismissed. Sometimes, the creditor does not have the proof (the statements) to even show that you even got any money from the debt. So, why do they bother to file a lawsuit then? Well, about 85% of the lawsuits (my unscientific guesswork) filed are not responded to by the debtors and the creditors simply get a judgment by default (that is, no one bothered to dispute it). So, if some of those disputed the debt, it might have been dismissed. Additionally, of the 10% who do respond, a well-trained collections lawyer (representing them) can use the legal process to win the lawsuit, even if you are right. I figure that about 5% of the remainder hire attorneys. Just a guess, mind you, based on what I have seen. b. Hey, what is this charge? Sometimes creditors have a bad habit of putting charges on credit card statements that should not have been there. So, if you look at your bill closely, you might see a recurring monthly charge for “credit report analysis” or “disability insurance” or “unemployment insurance.” If you did not ask for these things, you should not necessarily have been charged. If you don’t remember asking and they don’t have a signed statement from you saying that you owe it or proof that you asked, then you should not necessarily have been charged. Additionally, sometimes you were behind a month and paid up the next month and the creditor charges you a late fee for the month you paid on time by applying it to the month before. This means that every month you pay, you may be getting a monthly late fee. Of course, that may be okay under your Cardmember agreement, though a Judge may not agree or might think that is pretty shabby and penalize them accordingly. That is, of course, what “proving your liability” is all about. Also, watch the interest rate. Sometimes, creditors change it without notice. One month it is 9.9% and the next it is 29.9% and you find out when you open the bill. That may be okay under the Cardmember Agreement, however, maybe a Court will not necessarily agree. The law does require notice of those changes under certain circumstances, though. You should also look at every charge individually. If there is a charge for a place you would not be caught dead in, then chances are there was a mistake and it should be offset. You are probably figuring, who cares about a couple of dollars when the lawsuit is for $5000? Well, here’s the thing. If there were a $20 charge for something you definitely did not do or use, that is $20 off. Plus the interest that accrued on that. Plus the interest on the interest that accrued on that, etc. Plus, if that charge were not there, maybe your payment would have been complete and no late fee should have been assessed. So, no interest on the late fee or interest on interest on the late fee, etc. Or maybe you got an over-limit charge because of the interest on the interest on the interest (etc.) on the $20, on the late fees, and on the interest. Suddenly, that $20 is more like $500. That could make a difference. I had a client who disputed buying shoes for $239. So, she didn’t pay. The creditor sued her for over $2400 due to the late fees, interest, over-limit fees, attorney fees, and interest on interest on interest . . The case was dismissed once I was able to show these facts. Note of Caution: there is a federal regulation that says that if you did not dispute the bill within 60 days or you paid on it, then you may not be able dispute the debt later. My response is “prove that my client did not dispute it when my client says that she or he did.” Ever try to prove a negative? I don’t have to tell you that identity theft is a serious problem. This is a very serious issue as it involves a crime and possible imprisonment for the perpetrator. If some of the debts are not yours, you may be able to have the lawsuits dismissed if you take some affirmative actions with the cooperation of the collection agency/creditor, such as issuing a police report, identifying who had access to your card and took it, and showing some indication as to how this cannot be your debt. Now, you have to be careful. Perjury is a crime as well – if you say it is not your debt and it is your debt, you should be prosecuted. Honesty should always be the rule. Also, you may have loaned the card to a significant other or spouse or child or friend and that person ran it up. Throwing such a person under the bus may have consequences that you should consider first. For example, if such person can pay you and you can pay the bill or they can tell the collection agency that it was him/her and to let you off the hook. About 15% of my clients have this as a viable defense and I am able to prove that, for example, with a wrong address on the credit card statement, wrong middle initial, credit card inquiries from other states asking to use the card or verification when they were never in that state, etc. Some people think that they should not have to pay a debt because they really needed the money, such as to buy groceries or pay the rent/mortgage. Please remember that these are not the issues of the creditor; regardless of why you used the money, you may still owe it. Duress applies to physical duress by another. So, for example, I had clients whose boyfriends or husbands literally forced them to take out debts and allow the abusers to use their credit cards. One client was kidnapped in the process of his trying to get money out of my client (the credit card was one aspect of this crime). I had a few clients who were beaten. This is what one would call duress and if you can prove that you were physically forced into allowing another to take the money, the creditor or collection agency may be inclined to let it go. This may be proven by police reports, 911 calls, Orders for Protection from Domestic Violence, photographs or witnesses all happening at about the time that the money was used. No one wants to be creditor or collection agency that perpetrates domestic violence by telling someone that a bill has to be paid regardless of the beating one took to get the money; that would almost excuse the domestic violence. Remember, there is never a good reason for domestic violence (except in cases of self-defense, for example). a creditor only has a certain amount of time to sue. They may not be able to chase you if the creditor missed the deadline. Now before you panic, don’t. Sometimes, creditors would rather have some pennies in their pockets then a whole lot of maybe in the future. In other words, they might have sold the debt. If that is the case, the new creditor only has 5 years to sue from your last payment to the original creditor. So, if you took out a credit card and have not paid in 9 years and a new creditor or collection agency bought it, the debt may be toast. These folks are pretty sharp, so, they might say something like: “Well, we just bought it, so the 5 years starts now;” or “we just updated the debt on your credit report, so that’s another 5 years.” Or they might just lie to you (alas, it is possible) and say it is good for 15 years. In any event, the debt should be non-collectable. One final point, some people believe that the statute of limitations of the state where the debt originated binds the parties. So, you figure, if you got the credit card in Florida, and Florida’s statute of limitations happens to be 5 years, then you win if you are sued 5 years after your last payment. Well, that’s not completely correct. You see, statute of limitations is a procedural issue and procedural issues are bound by the state where the lawsuit was filed. So, even if you were in Florida and then moved to Kentucky, Kentucky’s statute of limitations binds you, not Florida’s statute of limitations. There is an old case on it when I raised this issue and it was with a heavy heart that I told the creditor and the Court that the creditor was right. (However, all was not lost; the case was disposed of on other grounds). generally figure that they will never get anything, so making $.10 on the dollar is better than nothing. Collection agencies don’t have time to look through every single debt that they buy as they buy tens of millions of dollars of debts at a time. In other words, they buy it in bulk. So, who cares if they buy it in bulk? Well, if they can’t prove that they bought it, well, then, they can’t prove that you owe it. See, sometimes the bills are sold to a “trust” and the trust sells to the collection agency. Collection agency may or may not have you listed as one of the bought debts. It happens. And if they can’t prove that they bought your debt, well then, the debt is gone. By the way, just because they send a bill of sale means nothing if you are not listed there or if the documents are not notarized by someone who knows what they say. I had a client where the collection agency sent me 23 pages of blacked-out names. As my client did not identify himself as a blacked out name, they lacked the proof that the collection agency bought it. Good-bye debt. Discover Bank through DFS Services, Inc. (its affiliate) sued. case at that point in time. Oops. Those are the 3 main credit card defenses. It’s important for me to say that each case is unique and you may have a unique circumstance that falls outside of these three defenses.